The Board of Selectman hears from the Richardson Clubhouse committee. 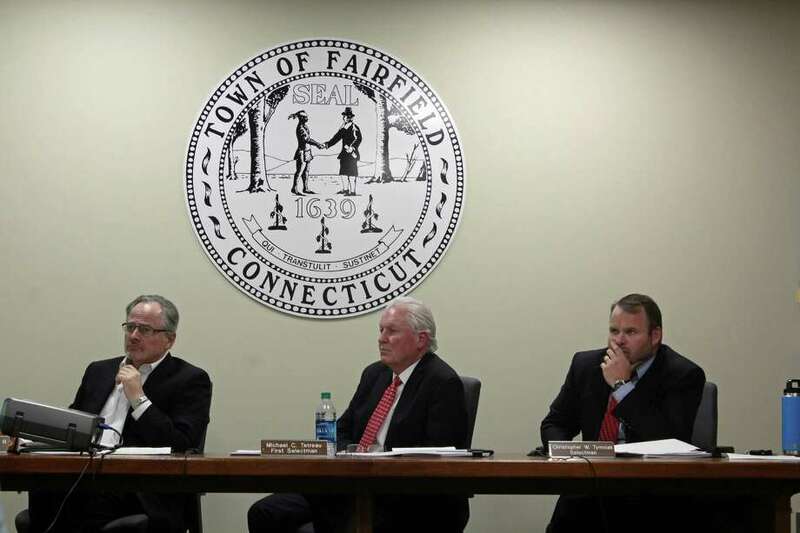 FAIRFIELD — The H. Smith Richardson Clubhouse Building Committee has presented to nearly all town funding bodies. There’s just one issue, the cost estimate of the project is a bit high. According to the committee’s presentation, the initial cost estimate of the project was $7.1 million but a schematic design estimate increased that to $8.9 million. A value-engineering session, one where the committee explored places for savings, the final cost estimate was decreased by $1.3 million to $7.6 million. Fellow Selectman Ed Bateson said moving the cost down would be in the interest of taxpayers. The Board of Selectmen thanked the committee for its work and asked questions regarding specific items like the chimney, timeframe and cost estimates. One of the notable improvements to the facilities are a drive through cart barn and the addition of a women's locker room, something the current facilities lack. The Selectmen are expected to vote on a bonding resolution to approve the funding of the clubhouse project by January though there may be lingering questions. The clubhouse committee recently presented to the Board of Finance last week with numerous questions relating to the numbers and cost estimates of the project. The project proposal requires that a bonding resolution be approved by three town bodies: the board of selectmen, the board of finance and the Representative Town Meeting. If one of these entities votes the project down, it would have to start the process over again. According to the clubhouse committee’s presentation, if the requests are approved, the project would see construction begin by the end of next year. “Keep this in track, do everything you can on value engineering,” Bateson said.